In this true-crime narrative, Erik Larson intertwines the tale of the 1893 World’s Fair and the cunning serial killer who used the fair to lure his victims to their death. [Larson] relentlessly fuses history and entertainment to give this nonfiction book the dramatic effect of a novel, complete with abundant cross-cutting and foreshadowing … The Devil in the White City is given shape and energy by the author's dramatic inclinations. He succeeds in affirming the historical and cultural importance of the 1893 exhibition, which, he says, may have helped to spawn such other wonders as Disneyland and Oz. 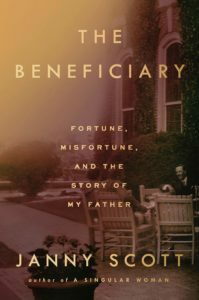 And he unearths a crime story of enduring interest, if only because Holmes, in the words of The Chicago Times-Herald, was ‘so unthinkable that no novelist would dare to invent such a character.’ A smart nonfiction writer did it instead. 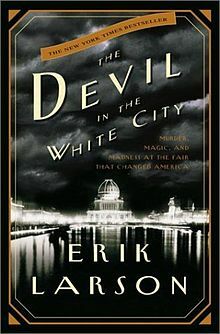 In The Devil in the White City, Erik Larson wants to tell the whole story, both the glory of Burnham's creation and the sordid details of the first known urban psychopath in American history. It is not a comfortable fit. He uses language well, but has little sense of pacing or focus, perhaps because of the huge amount of material available on the fair … There is much less material available on H. H. Holmes, and Larson tells that part of the story economically. 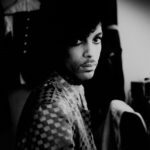 But he has added his own imaginative touches and sometimes goes farther than the sources warrant. Burnham and Holmes are two sides of the coin, creatures of the new metropolis, using American energies and know-how to radically different purposes … Larson is a talented writer with a gift for surprising language, and an admirable impulse to show and not tell. The book whips back and forth from character to character, anecdote to anecdote, building plenty of momentum in the process … Larson has balanced beauty and terror, the genius and flaw of the modern city. The book is a parable, a kind of one-liner—is there always a devil in the white city? What did you think of The Devil in the White City: Murder, Magic, and Madness at the Fair That Changed America?